Maruti Ritz is the latest car launched in India this summer by the automobile giant Maruti Suzuki. Maruti Ritz, also known as Splash outside India is developed on the much successful Maruti Swift platform. Unlike Swift, it is a hatchback car with state-of-the art engineering with better style than its predecessors. Cozy interior mixed with rich comfort makes it a popular choice among others and especially among youngsters and small families. Among the strong competitive hatchbacks like Hyundai i20, Maruti seems to have replied really well with Maruti Ritz. Priced around 4-5 Lacks, Ritz seems to have perfectly blended style, design, mileage and luxury. Special advancements have been made in its suspension, raised more than swift to cater to smooth driving on Indian roads. One of the most important features of Maruti Ritz is its engine. It comes with all new k12M engine providing highest average of 21kmph, low engine noise and advanced DDis technology. The Aerodynamic roof line makes it stable at high speeds and leads to low fuel consumption. The Boomerang tail lights adds to the coefficient of style adding to visibility in night. The front and rear fog lamps makes the visibility clearer in extreme weather conditions. Another feature to be highlighted is the presence of alloy wheels that makes the hatchback lighter as compared to its contemporaries. Maruti Ritz comes in fuel variants of Petrol and Diesel. Ritz is extremely spacious with a sitting capacity of 5 people. Ritz also offers a center console designed to give a strong presence and easy access. It also has a host of other features like a large independent speedometer, colored fascia, dashboard display, comfortable seat fabric as well as door trim which further contribute to the fresh appeal. Another noteworthy feature here is the gear shift lever is ergonomically shaped and is positioned relatively high in the center console to minimize its distance from the steering wheel and permit extra storage space. 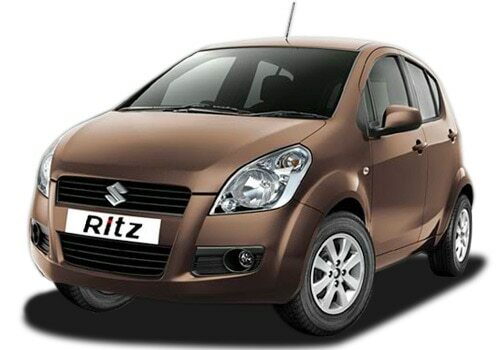 In all if you are looking for a spacious value for money family car, Maruti is listening and responded with Ritz. Well Maruti Suzuki is the automobile giant in India. I am dying to check the new model of ritz which would come in future.